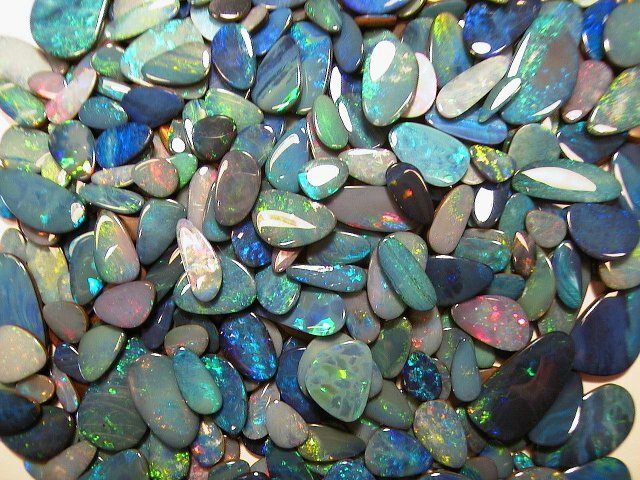 Gorgeous Opals sparkling with fire. These Opal doublets have stunning bright colors including reds, blues, greens, pinks, yellows, and even some orange. 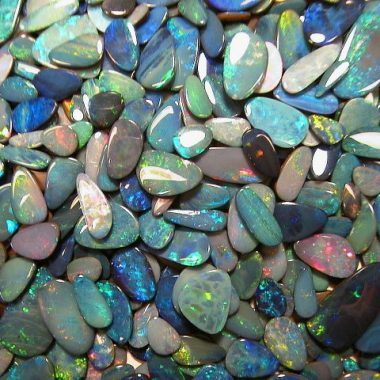 We are dividing these into lots of 15 opals each.and offering them for Only $19.95 per lot! Stones typically range in size from roughly 7mm x 4mm up to 20mm x 10mm and carat weights range roughly from about 1/2 to 3 cts each. Excavated from the famed Lightning Ridge mines in Australia, these freeform opal doublets have been professionally set on ironstone backing. Suitable for anyone from the beginning collector all the way to the experienced jeweler.